Every day at 2pm during Las Fallas, firecrackers rip through the Plaça de l’Ajuntament in an extremely noisy event called la mascletà. 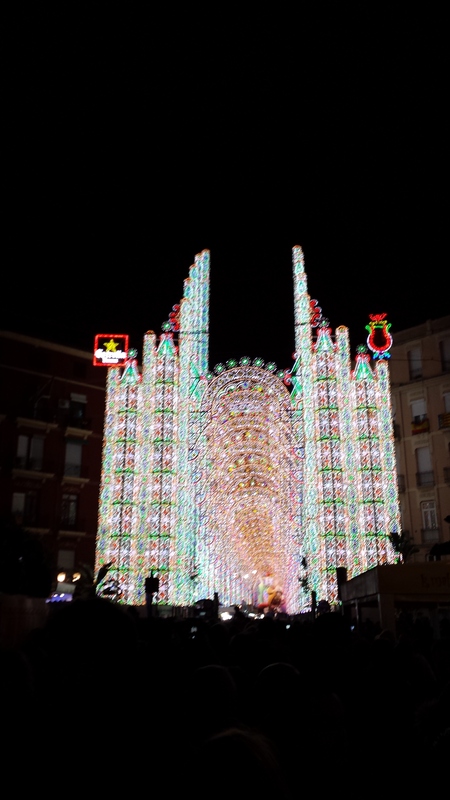 Thursday 19th was the final Mascletà which I was able to see. Although it was in the square, due to the large crowds, we were positioned around the corner in a nearby street. At the end there is a terremoto, (literally means “earthquake”) when hundreds of masclets explode at the same time. It does everything it says on the tin, it actually felt like the ground was shaking! Here is a video clip I took during the mascletà, if you’d like to get a feel for what it was like! 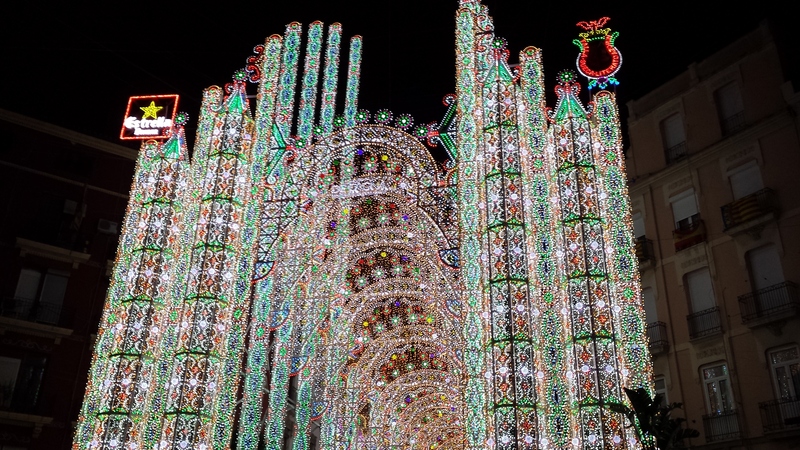 As you can imagine, the mascletà isn’t for the faint-hearted or for those who can’t stand loud noises! At times, it felt like there was shooting in the streets which was pretty scary, and I swear, if there was shooting going on, no one would know as it would just pass off as a firecracker! 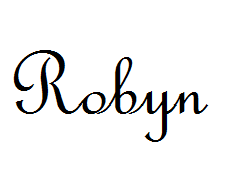 For me, it was something very different that I haven’t experienced before. Although, this happens every day during Las Fallas so I am sure that after a while, it could get tiring for residents or people who are in Valencia for a long period during Las Fallas. After the mascletà, we decided to walk around and see some of the many Fallas dotted around Valencia before they were to be burned later that night, which I will talk all about in my next post! It was really impressive and lasted over 10 minutes. 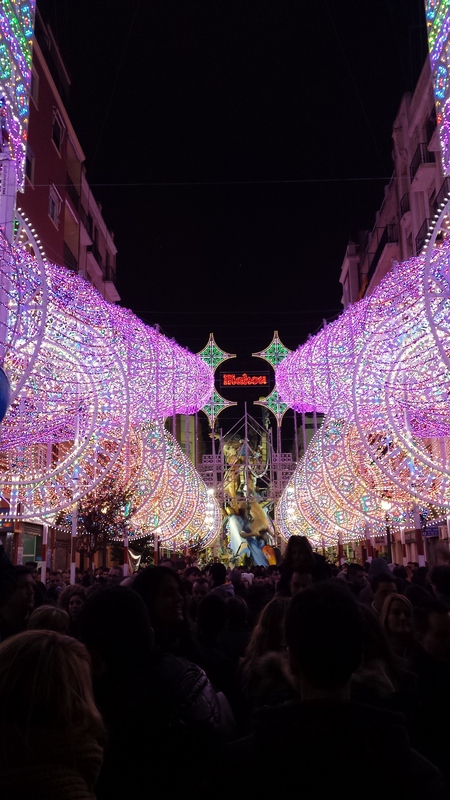 It’s without a doubt a highlight of mine during the trip and a ‘must-see’ if you come for Las Fallas! 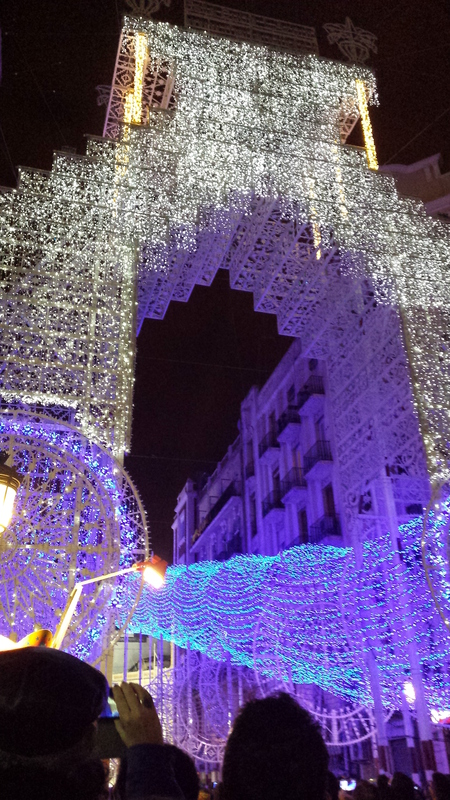 There was also a light show on Calle Sueca that we got to see the end of afterwards. The choice of song was Bailando by Enrique and so everyone was having a great time, dancing in the streets!